The agent of Manchester United defender Luke Shaw has rubbished speculation that he could be sold at the end of the season. The 21-year-old has only made 13 appearances since Jose Mourinho took over as manager, his last coming in the 4-1 EFL Cup win over West Ham on November 30. 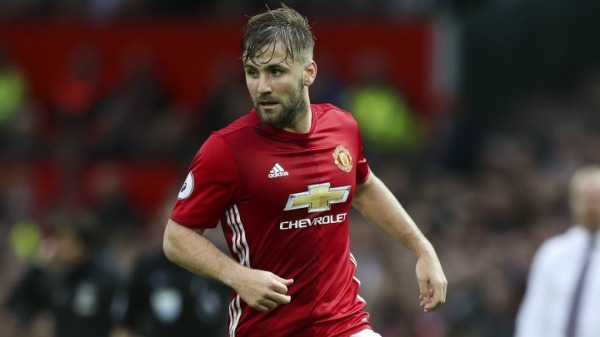 Persistent injury concerns and public criticism of some of his performances by Mourinho has prompted talk that Shaw could be offloaded before next season. His representative Jonathan Barnett, however, has denied there is any uncertainty over his future. "He is happy at the club. Manchester United are very happy with him and he's very happy at Manchester United," Barnett told Sky Sports News. Shaw joined from Southampton for a reported £27million but struggled to stay fit and in Louis van Gaal's plans in his first season. He started last season strongly but sustained a broken leg in the 2-1 Champions League defeat to PSV in September and was ruled out for the rest of the campaign.